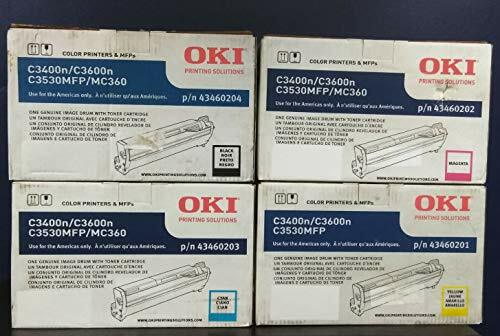 Genuine Okidata 4 color toner set for MPS3537, MPS3537mc, MPS4242, MPS4242mc, MPS4242mcf, MPS4242mcfx. Contains one of each color. Black 45396224, cyan 45396223, magenta 45396222, yellow 45396221. 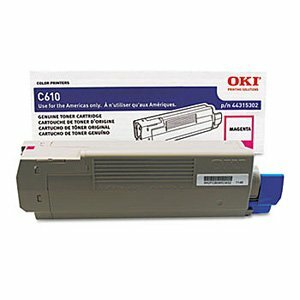 The Okidata 44315102 Magenta Image Drum has been specifically designed to produce consistent, sharp output from your Okidata printer (see other compatibility below). 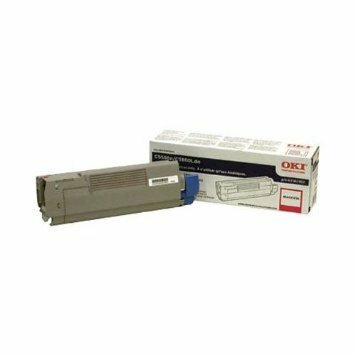 The 44315102 has been manufactured under recognized industry standards, including requirements based on the ISO quality system, and is warranted to be free from defects in materials and workmanship for one year for Compatible and Remanufactured cartridges. Genuine OEM cartridges are warrantied by their respective manufacturer.OEM Image Drum products are backed by our exclusive Ink4Less.com 4-Star Guarantee. Get your printer ink for less at Ink4Less today. 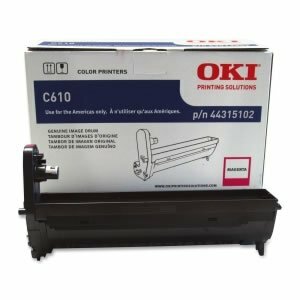 The OKI 43449026 Magenta Image Drum has been specifically designed to produce consistent, sharp output from your Okidata printer (see other compatibility below). The 43449026 has been manufactured under recognized industry standards, including requirements based on the ISO quality system, and is warranted to be free from defects in materials and workmanship for one year for Compatible and Remanufactured cartridges. 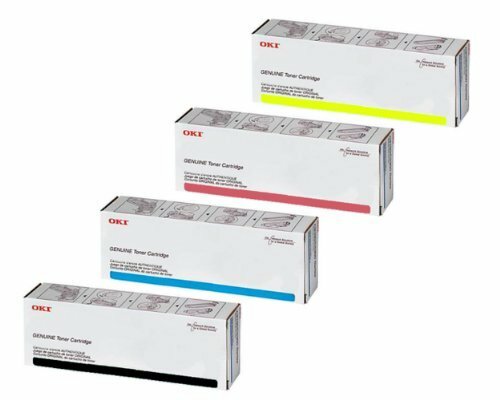 Genuine OEM cartridges are warrantied by their respective manufacturer.Genuine Okidata Drum products are backed by our exclusive Ink4Less.com 4-Star Guarantee. Get your printer ink for less at Ink4Less today. 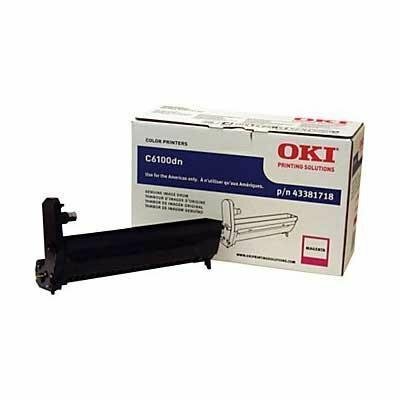 Okidata 42126602 Magenta Laser Toner Image DrumWorks with Okidata C5100n, Okidata C5150n, Okidata C5200n, Okidata C5300n, Okidata C5400, Okidata C5400dn, Okidata C5400dtn, Okidata C5400n, Okidata C5400tnThis is a genuine Okidata 42126602 Magenta Laser Toner Image Drum guaranteed to perform with the Okidata C5100n / C5300n Laser Toner Printers.Features: 15,000 pages yield. Type C6. 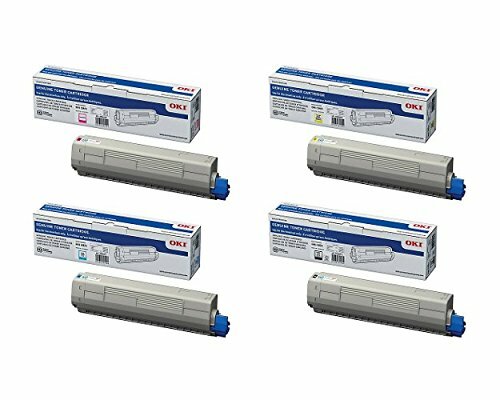 Genuine Okidata toner value pack for C831DN, C831N, C831, MC873DN, MC873DNC, MC873DNX. Contains one of each color. Black 44844512, cyan 44844511, magenta 44844510 and 44844509 yellow. 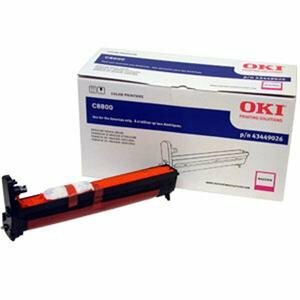 The Okidata 43381902 Magenta Toner Cartridge has been specifically designed to produce consistent, sharp output from your Okidata printer (see other compatibility below). The 43381902 has been manufactured under recognized industry standards, including requirements based on the ISO quality system, and is warranted to be free from defects in materials and workmanship for one year for Compatible and Remanufactured cartridges. Genuine OEM cartridges are warrantied by their respective manufacturer.OEM Toner Cartridge products are backed by our exclusive Ink4Less.com 4-Star Guarantee. Get your printer ink for less at Ink4Less today. Shopping Results for "Genuine Okidata Magenta Drum"